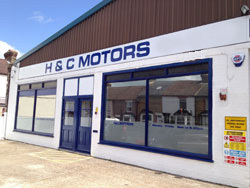 Here at H&C Motors Ltd we care about your data. We have put in place appropriate controls and security policies to keep your data safe. Meet the purposes that you provided your information. We're keen to improve your awareness of products	and services that we feel could be of interest to you. We will only send you information about our own products and services. Each time we send you information, we will give you the opportunity to opt out from receiving this type of information. We might also send you other materials produced by our firm such as MOT reminders. If you don't want to receive any of this type of marketing, please let us know by email: privacy@handcmotors.co.uk or by calling 01622 752364. Alternatively, you can write to us at the address listed above.